Can you prove that God exists? No. Can you prove that God doesn’t exist? No. When I asked my Gurudeva to be his diska disciple, I got the question “Do you do 16 rounds?” At that time I had been doing so for a year. Now I don’t, but I strive for it. I keep on falling down, but my impression is that I manage to work myself upward again quicker than before each time. The truth is that when I asked my Gurudeva for diksa, I had only one vow I could give to him – my loyalty. That was my sankalpa. I would never leave my dedication to him. No matter how fallen I am or would become, I would remain loyal. If I ever disagree with him, I will not leave him. That was the real vow I did. To always have faith in my Gurudeva, even when it gets hard. He is my father and family. We know that diksa is a life-long process until we have achieved our siddha-deha. I also consider that as I have to prove to my Gurudeva that I am loyal and will work on my spiritual life forever, my Gurudeva has to prove to me that he will uphold his end of the deal. I give loyalty, but I also expect loyalty in return. In truth, I expect so much more from him than I expect from myself because he has to keep on making me move forward. 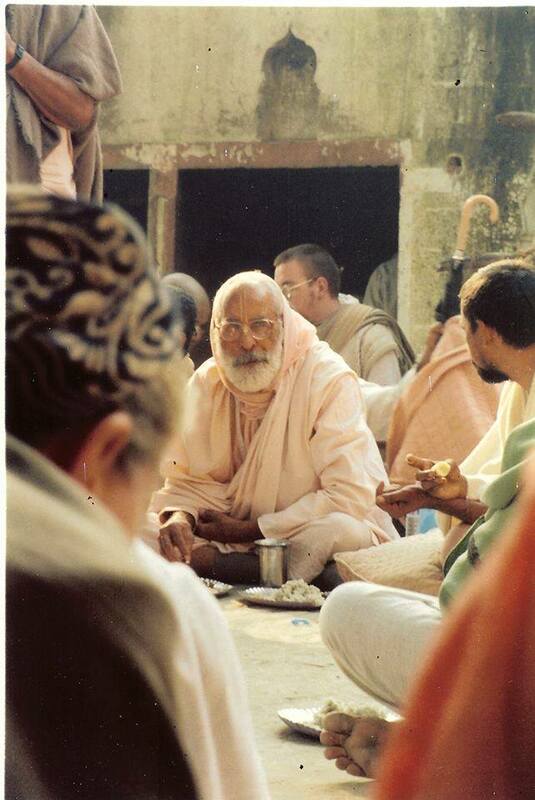 My Gurudeva left this world in 2010, and he proved in his life that he was utterly dedicated to Krishnas service. Though he’s disappeared I still expect him to uphold his deal, he has to prove this process is true to me. Each year I see my faith is increasing. I don’t see it in the day to day, but I see it as months and years pass that slowly I’m going deeper, I’m being led along the path as long as I’m not resisting. I see it in my understanding, I see it when I suddenly recognize myself in verses and passages, I see it when I recognize what spiritual level I’m at. It’s no coincidence that the first item in surrender is “reject what is unfavorable for bhakti”, and the second item is “accept what is favorable for bhakti”. It comes of itself and you notice it when some pulling lessen. You notice how your thoughts goes “it’s not the end of the world if I don’t get this..” and you shrug it off as inconsequential. Things that previously held so much sway. The taste and interest for it has lessened, almost gone. It happened of itself, you didn’t push for it. The proof is in the process. It’s gradually revealed to you and with it a pearl of experience and wisdom. The process itself is addictive. You just have to hold on, and Guru will drag you up. The proof is in the doing. This entry was posted in Guru parampara, Sadhana (Practice) by Haridasi. Bookmark the permalink.